The US Justice Department on Friday revealed an eight-count indictment charging 13 Russian nationals and three Russian entities over their alleged meddling in US politics, including the 2016 presidential election. Among those indicted are a businessman with ties to Russian President Vladimir Putin and the Internet Research Agency (IRA), a St. Petersburg-based “troll farm” known to have produce huge amounts of social media propaganda aimed at sowing discord among the US electorate. 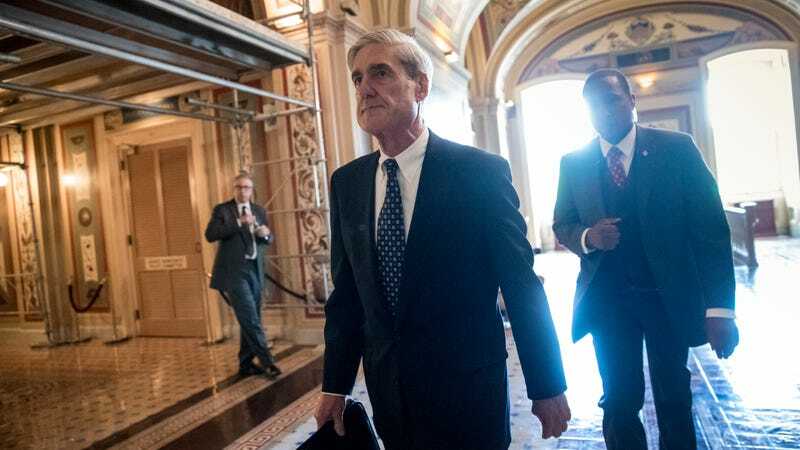 The charges, which stem from special counsel Robert Mueller’s ongoing probe into Russian election interference, include conspiracy to defraud the US, conspiracy to commit wire fraud and bank fraud, and aggravated identity theft. IRA operated with an annual budget of millions of dollars, with a sophisticated structure that included a graphics department, a data analysis department, a search-engine optimization department, an IT department, and a finance department, according to the DOJ. The Agency referred to its social media campaign as the “translator project” and by July 2016 had assigned more than 80 employees to create content on platforms like Facebook, Twitter, and YouTube. In early 2017, US intelligence agencies assessed with high confidence that the Kremlin’s objective was to sow division among US voters and swing the election in Donald Trump’s favor. The legal standard necessary to produce the indictment against the Russian nationals is notably higher than that which was met by the intelligence community in the production of its assessment. Per the indictment, the IRA team used fake identities as well as identities stolen from real US citizens to push propaganda online. At times, it says, members of the team traveled to the US to gather intelligence. Two IRA employees went on a multi-state tour of the US in June 2014 to gather intelligence, visiting Nevada, California, New Mexico, Colorado, Illinois, Michigan, Louisiana, Texas, and New York, according to the indictment. Employees also allegedly reached out to political activists online and received advice from a grassroots organization based in Texas to focus their efforts on “purple states” like Florida. The nickname for swing states stuck, and IRA employees often referred to “purple states” in their work, the DOJ says. “Some defendants, posing as US persons and without revealing their Russian association, communicated with unwitting individuals associated with the Trump Campaign and with other political activists to seek to coordinate political activities,” the indictment says. Accused of funneling money to the IRA through his business, Yevgeniy Prigozhin, a Russian businessman with ties to Vladimir Putin, was also indicted. IRA employees were aware that Prigozhin was funding their project, the indictment says. In May 2016, employees arranged for someone in the US to stand in front of the White House holding a sign that said, “Happy 55th Birthday Dear Boss,” which the indictment claims was a reference to Prigozhin (his birthday is in June). IRA analysts were instructed to post negatively about 2016 Democratic presidential candidate Hillary Clinton, and Republican Senators Ted Cruz and Marco Rubio while posting positive messages about Sen. Bernie Sanders, Clinton’s Democratic primary challenger, and Trump. “Use any opportunity to criticize Hillary and the rest (except Sanders and Trump—we support them),” IRA employees were told in guidelines for social media content, according to the US government. Over the summer of 2016, the IRA is said to have organized several rallies in the US. During one rally in Washington, DC, which would purportedly show Muslim-Americans’ support for Clinton, the IRA evidently arranged for someone to hold a sign with a fake Clinton quote: “I think Sharia Law will be a powerful new direction of freedom.” The IRA also organized rallies supporting Trump and denouncing Clinton. The rallies continued after the election, the DOJ says, as the IRA organized events both celebrating Trump’s election and opposing it. A Putin spokesperson said the Kremlin was not yet familiar enough with the indictment to comment.